This 9' umbrella with built in LED lights from Galtech features an antique bronze aluminum pole and a canvas octagon canopy. The canopy is supported by 8 aluminum ribs and made of 100% solution-dyed and fade resistant acrylic Sunbrella brand fabric. Use on your patio with a table up to 54 inches. The deluxe auto-tilt locking mechanism allows the umbrella to tilt at any desired angle, making escaping the sun a breeze! 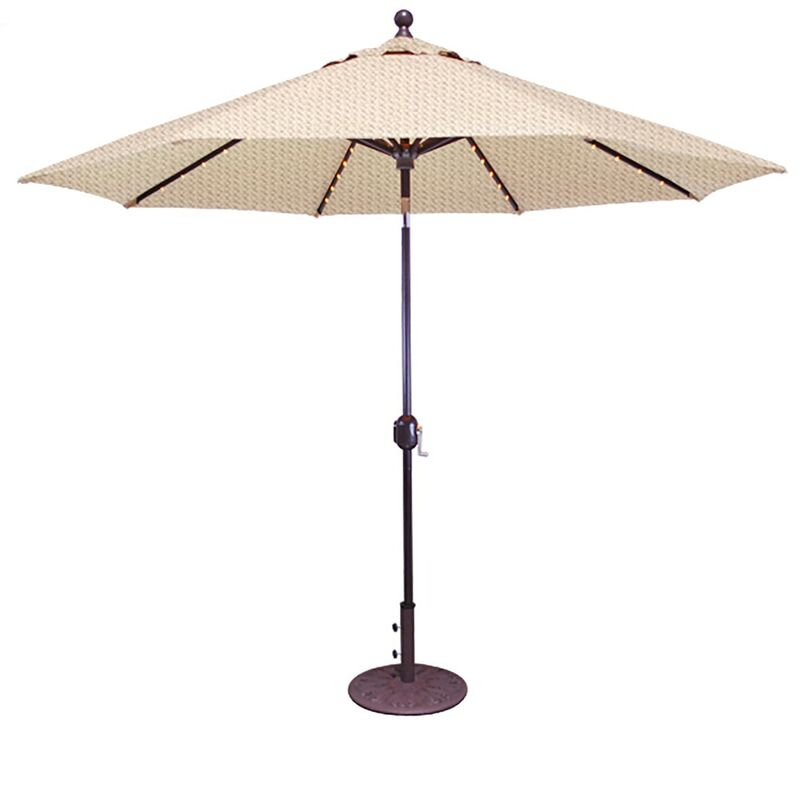 The metal crank housing and stainless steel cable make extending and retracting the umbrella effortless. Fits up to a 54" table with a 40 lb stand or free stands with a 75 lb stand (stand sold separately).